Interested in the Bells of the Minster? Click here for more details - their history and who to contact for further information. An open meeting was held in the Minster on the evening of Wednesday 24 October 2018. It included a talk by Ruth McNeilage, the expert who worked and reported on the mediaeval wall paintings. To read Ruth McNeilage's report download it here. Marcus Chantry, our church architect talked about the plans for redeveloping the facilities of the Minster, including toilets and servery. 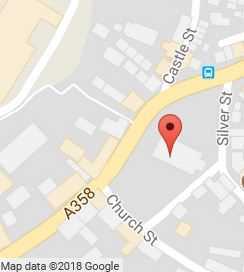 Click on the map for more detail of the Minster's location.